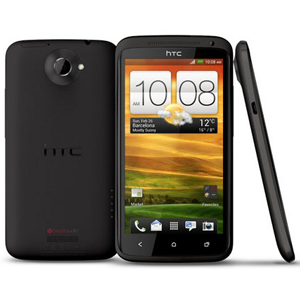 The One X is HTC's flagship phone for the first half of 2012. It features a highly-acclaimed Super LCD2 720p screen, which many consider to be the best display on a mobile phone to date. The international version of the One X ships with a quad-core Nvidia Tegra 3 CPU processor that is backed by a full gigabyte of RAM and 32 gigs of flash memory. The device's software is also notable. The One X comes pre-loaded with Android 4.0.3, featuring the HTC Sense 4 user interface, which marked the slimming of their previously heavy custom skin.